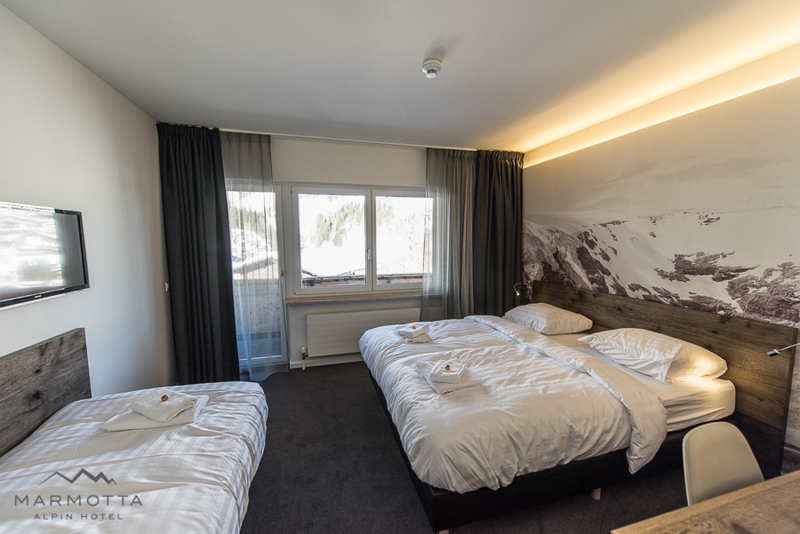 Book your room today at Marmotta Alpinhotel. We like to welcome you for a pleasant and relaxing vacation. 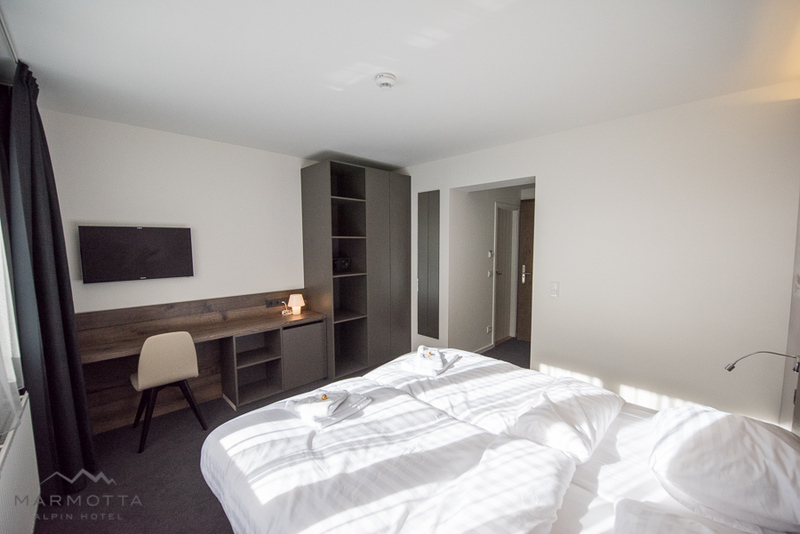 All rooms completely renovated and restyled in 2015. 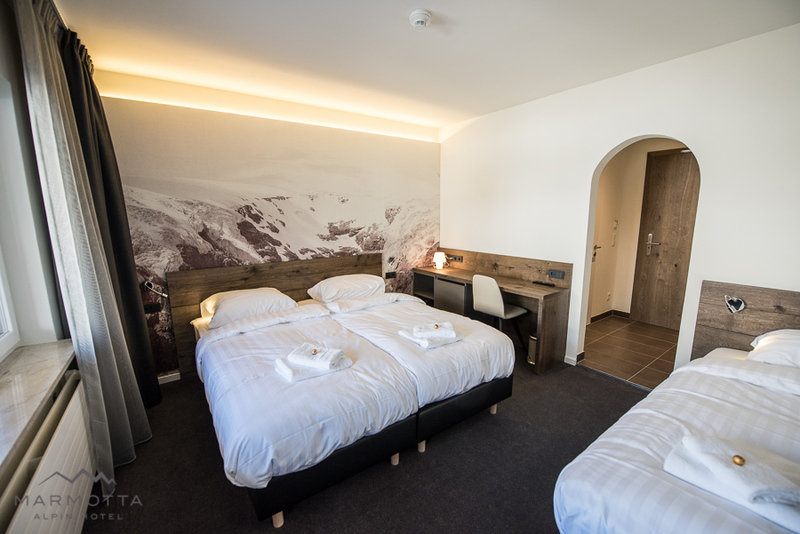 The rooms offer our guests all modern comfort while retaining the cosy and warm atmosphere of the Austrian hospitality and culture. 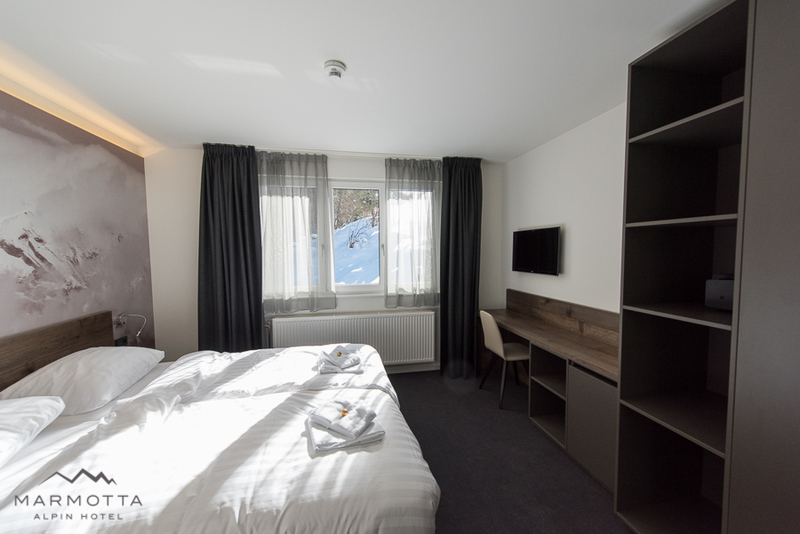 All our rooms are equipped with a complete new bathroom, dressing, comfortable beds and flatscreen TV. Free WIFI is available in all rooms. Refrigerator and safe in every room. 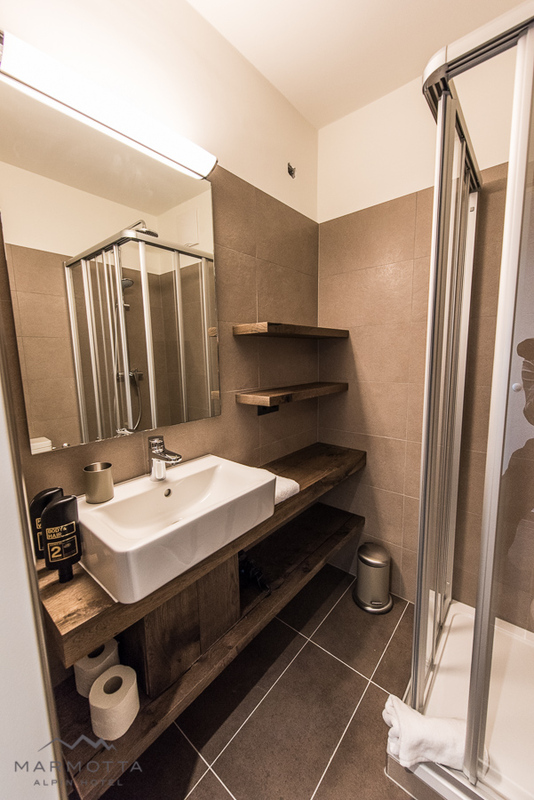 Our spacious comfort rooms are suitable for 2 or 3 persons. All our rooms are non-smoking. Summer price is including an extensive breakfast. In summer our guests are welcome in our restaurant for dinner. Half board is possible upon request. 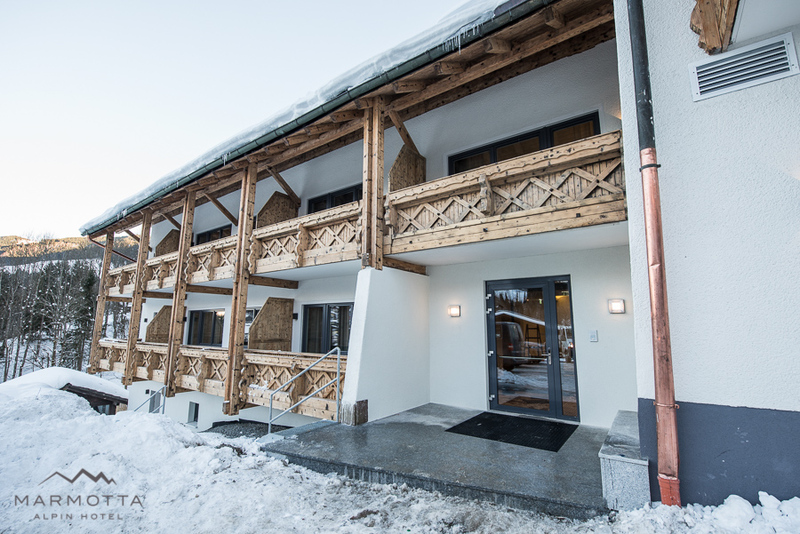 Winter price is including half board including 3-cours dinner.